State Bank of India (SBI) invites online application forms from young professionals for appointment to the posts of Specialist Cadre Officers On Regular And Contract Basis. As per the requirement of the State Bank of India (SBI), total available posts are 476. Application mode is online. Starting Date for Online Application process is 04th October 2016. Last Date for Online Application process is 16th August 2016. The last date to send the print out of online application form is 22nd October 2016. The official notification of SBI SO Recruitment 2019 has been uploaded. 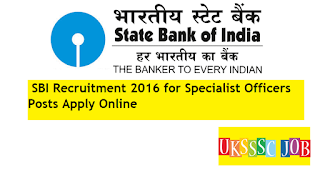 Read full information for SBI Recruitment 2016. Pay Scale: Selected candidates will get the monthly payment, Please visit official notification for more details. Qualification is any Engineering Graduate/Masters from Government recognized University/ Institute. State Bank of India (SBI) department will select candidates based on Online Exam and marks obtained in the interview procedure. SELECTION PROCEDURE FOR THE CONTRACTUAL POSITIONS will be by shortlisting and interview. State Bank of India (SBI) department requires online applications. Starting Date for Online Application process is 04th October 2016. Last Date for Online Application process is 22nd October 2016. 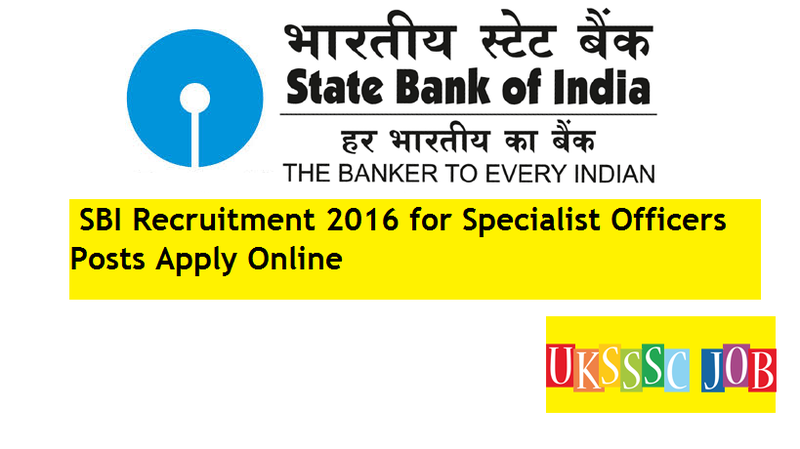 A) Apply online for above Specialist Officers positions by visiting SBI’s official website. B) Fill with required details of the valid mobile number, active E-Mail ID, etc. C) Candidates are advised to send the computer generated a hard copy of application duly signed and pasted with their recent photographs along with relevant documents to "The General Manager, State Bank of India, Corporate Centre, Central Recruitment & Promotion Department, Atlanta Building, 3rd floor, Plot No. 209, VBR, Block No.III, Nariman Point, Mumbai - 400 021".